The world is "way off course" in its plan to prevent catastrophic climate change, the United Nations warned Monday as nations gathered in Poland to chart a way for mankind to avert runaway global warming. After a string of damning scientific reports showing humanity must drastically slash its greenhouse gas emissions within the next decade, UN Secretary-General Antonio Guterres told delegates at the opening of a UN climate summit: "We are still not doing enough, nor moving fast enough". 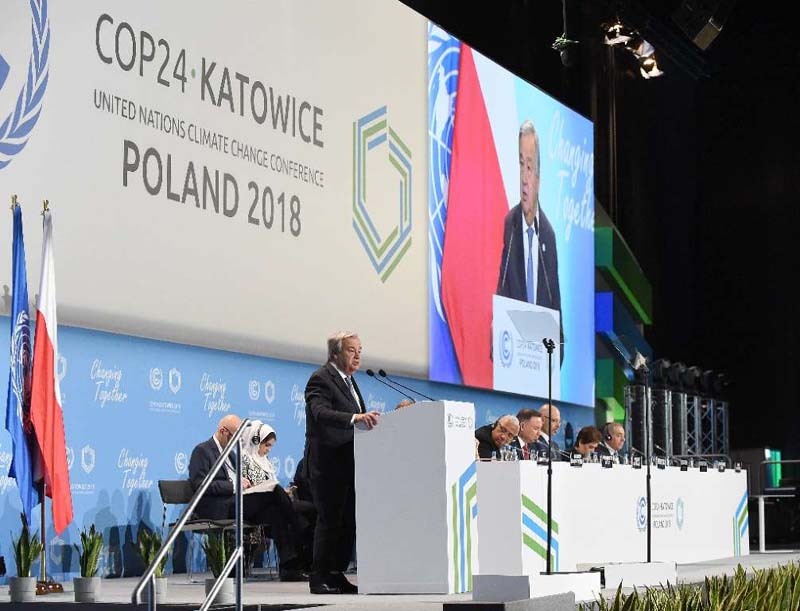 Monday will see leaders from at-risk nations such as Fiji, Nigeria and Nepal plead their case at the COP24 climate talks, which aim to flesh out the promises agreed in the 2015 Paris climate accord. But host Poland -- heavily reliant on energy from coal -- will push its own agenda: a "just transition" from fossil fuels that critics say could allow it to continue polluting for decades. Nor are any of the world's largest emitters represented at the highest level in Poland. The Paris deal saw nations agree to limit global temperature rises to below two degrees Celsius (3.6 Fahrenheit) and under 1.5C if possible. Officials from nearly 200 countries now have two weeks to finalise how those goals work in practice, even as science suggests the pace of climate change is rapidly outstripping mankind's response. One of the key disputes is finance. Under Paris, richer nations -- responsible for the majority of historic greenhouse gas emissions -- are expected to contribute funding that developing nations can access to make their economies greener. But US President Donald Trump's decision to withdraw from the Paris accord has dented trust among vulnerable nations, who fear there is not enough cash available to help them adapt to our heating planet. The World Bank on Monday announced $200 billion (175 billion euros) in climate action investment for 2021-25 -- a major shot in the arm for green initiatives but one which needs bolstering by state funding. 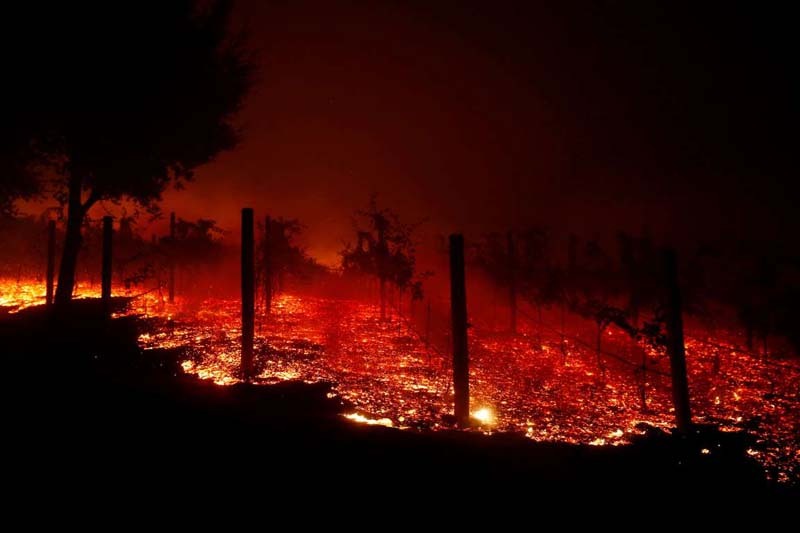 The background to Monday's summit could hardly be bleaker: with just one degree Celsius of warming so far, Earth is bombarded with raging wildfires, widespread crop failures and super-storms exacerbated by rising sea levels. "Even as we witness devastating climate impacts causing havoc across the world, we are still not doing enough, nor moving fast enough, to prevent irreversible and catastrophic climate disruption," Guterres said. The UN's own expert climate panel in October issued its starkest warning to date. To have any hope of reaching the 1.5C goal by the end of the century, it said emissions from fossil fuel use must be halved by 2030. 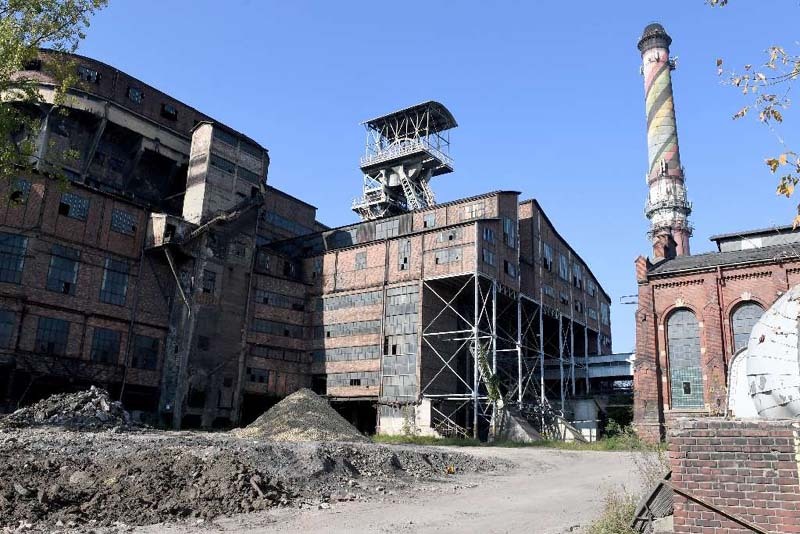 Poland is one of many nations heavily reliant on coal and wants this round of talks to reflect the role fossil fuels play in its economy. On Monday, it will unveil a declaration calling on states to "recognise the challenges faced by sectors, cities and regions in transition from fossil fuels... and the importance to ensure a decent future for workers impacted by the transition." As Poland pushed the continued use of coal, it fell to the president of Nauru, a Pacific island nation that is critically threatened by rising sea-levels, to point out the most obvious barrier to climate action: fossil fuel use. Baron Divavesi Waqa said the Paris agreement "doesn't radically disrupt the fossil fuel industry... these powerful interests emerged from Paris unscathed and we ignore that reality at our peril." Frank Bainimarama, prime minister of Fiji and president of last year's COP, said developed nations must act now to save the planet. "Or, God forbid, (we) ignore the irrefutable evidence and become the generation that betrayed humanity," he said.